March, 2019 Pet Food Distribution, Spay/Neuter sign up is Sunday, March 17th (weather permitting), from 10 am till 1 pm. We are located at 5702 Old HWY 21 (Old State Route 21), Imperial MO 63052. South of HWY M in the Otto Plaza next to Jefferson County Music, across from Dollar General. No appointment necessary. To qualify for our program, you need to be a Jefferson County resident (or rural surrounding community) You must to bring photo id (showing current address or a utility bill), proof of need ( SSI, Medicaid, Food Stamps, any government assistance or unemployment letter) along with backing documentation showing current eligibility. Please provide proof of spay/neuter. If your pets are not spay/or neutered, we will only give you food once until you have made arrangements to have them fixed (which we will pay for). 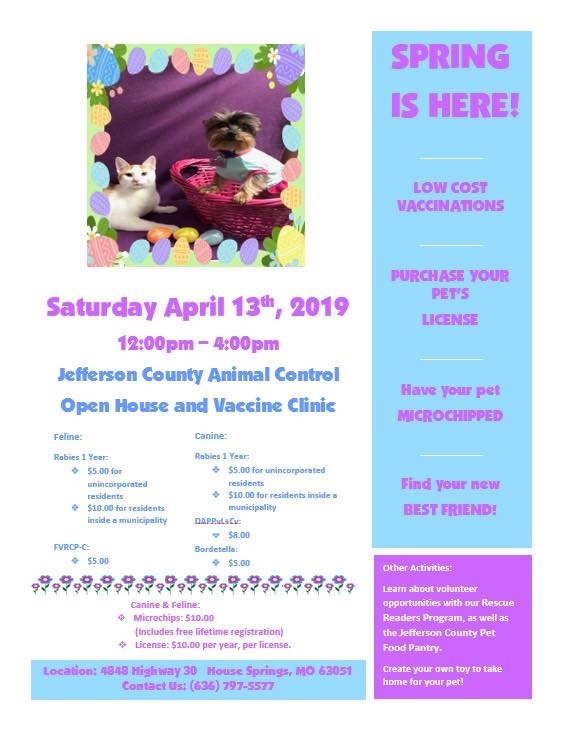 If you are ONLY interested in getting your pets fixed, you STILL need to come by, fill out an application and bring the necessary paperwork. WE DO NOT SPAY/NEUTER AT THE PANTRY!!!! 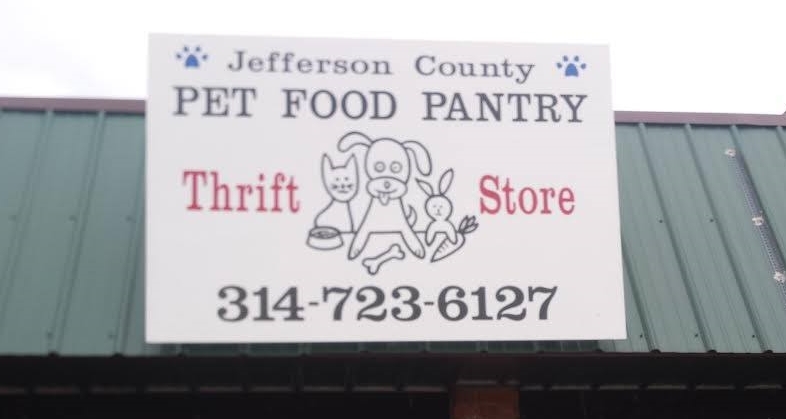 February, 2019 Pet Food Distribution, Spay/Neuter sign up is Sunday, Feb.17th (weather permitting), from 10 am till 1 pm. We are located at 5702 Old HWY 21 (Old State Route 21), Imperial MO 63052. South of HWY M in the Otto Plaza next to Jefferson County Music, across from Dollar General. No appointment necessary. December Pet Food Distribution, Spay/Neuter sign up is Sunday, Dec.16th, from 10 am till 1 pm. We are located at 5702 Old HWY 21 (Old State Route 21), Imperial MO 63052. South of HWY M in the Otto Plaza next to Jefferson County Music, across from Dollar General. No appointment necessary.